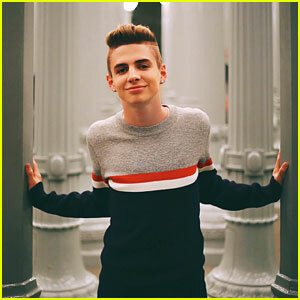 Zach Clayton is Looking For a Girl in New ‘Kick It With Me’ Music Video – Watch Now! | Music, Zach Clayton | Just Jared Jr.
Zach Clayton is Looking For a Girl in New 'Kick It With Me' Music Video - Watch Now! 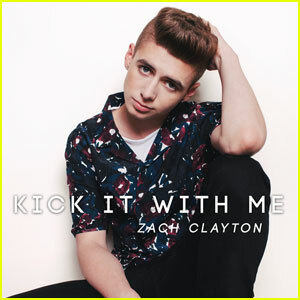 Check out Zach Clayton‘s new music video for his song “Kick It With Me”! The 16-year-old social media star and musician plays with a Fidget spinner and tries to win a girl over in the video. She doesn’t seem interested until she finds out he’s famous. Watch below! Meanwhile, Zach recently wrapped the first leg of his Nothin’ but Love solo summer tour and just released his first EP Kick it with Me. Watch Zach‘s cool new video below! 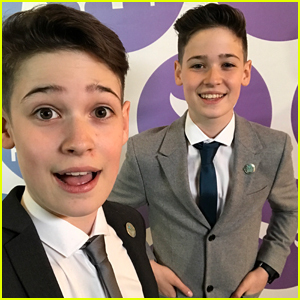 EXCLUSIVE: Max & Harvey Go Behind-the-Scenes at the Shorty Awards - See the Pics!